dis town ees like a great big pussycat jus' waitin' to get fucked. ..this challange is so broad. Love it! I love this one - CLICK! i cant see this being beaten. This and the SLJ durr one are actual reasons why the internet was invented. What's the most attractive cheese? What cheese would you use to tempt a grizzly down from the mountains? Watch out for Boba Feta. How do you handle Welsh cheese? This is one of the greatest things I have ever seen. In this country, you gotta make the money first. 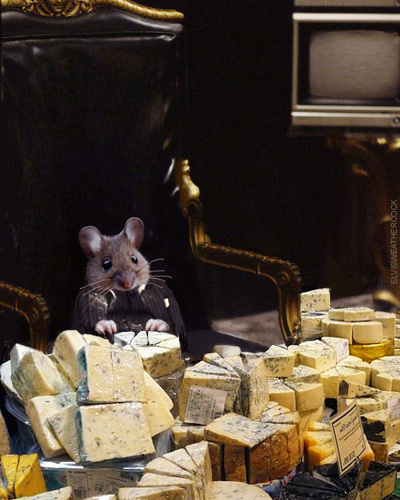 Then when you get the money, you get the cheese. Then when you get the cheese, then you get the women. This is so excellent it makes me BLEED. Hey! Go easy on that. The Front Pages I mean. Tiny Montana: "I got ears, ya know....."
... can someone enlighten me?